For more information, please visit TransIOT and BiiLabs. 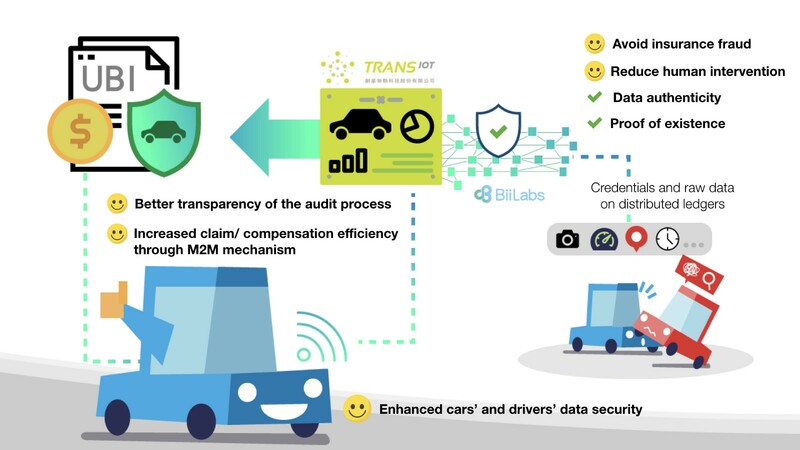 Trans-iot uses Dynamic Vehicle Data to drive the profit of After-Service from insurance/repair/maintenance. Through the Design-in Service Model, we provide UBI/Consumable Prediction/Smart Diagnostics Innovative data services for global automobile manufacturer/insurance company/local vehicle maintenance works (4S Shops).